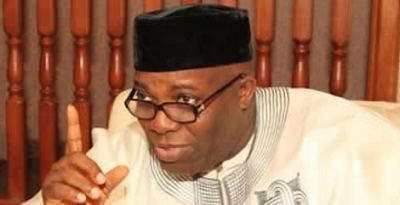 Former Senior Special Assistant on Public Affairs to former President Goodluck Jonathan, Doyin Okupe, on Thursday in Ibadan described the All Progressives Congress and the Peoples Democratic Party as two spent parties that had misused their time in politics. Okupe spoke at the 2017 South-West stakeholders’ summit of the Accord Party in the city. Lobatan! If only you followed Okupe on twitter and facebook during his days in PDP, especially when he was in power during GEJ's reign, ha! then this will shock you. Okupe speak evil of PDP??? Hahaha life, politics, people change, things change... #HappyThisIsHappeningInOurTime.... #WeAreAlsoHavingOurGenerationHistory... #NotMummyToldMe, NotDadToldMe.. LOL. » #BBNaija: Is Big Brother Serving The Housemates Expired Drinks? See Photos..